For visiting my page. I trust that you'll find a number of resources that will facilitate your real estate needs and answer any questions you have pertaining to me or the real estate market in the Lake Conroe and Surrounding Areas. There is a reason you've come to visit, and I would love to find out why! Please take a minute to enter your contact information, and either my assistant or I will contact you to better serve you. "Confidence + Commitment = Success." Reponsiveness. The Merriam-Webster dictionary defines "responsive" as: (1) giving response or answering, and (2) quick to respond or react appropriately or sympathetically. This is the most important need relayed by every consumer! With this understanding, I have developed and implemented a 3-point Communication Schedule. You will know what is going on. Transparency. Not only will you know what is going on, you will also understand what is going on. There are no "cookie-cutter" transactions. Every transaction requires attention to detail and diligence, and that is why I dig deep to find answers. I want you to understand what is going on because I want you to ask questions and track the progress of your transaction. I am accountable to you. Market Expertise. 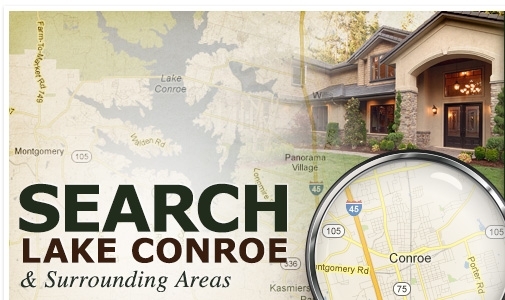 You will have a solid understanding of the market trends in the Lake Conroe and surrounding Areas. I will tailor your Total Market Overview to suit your needs and arm you with the information needed to make you the most competitive Buyer or Seller on the market. With over 225 agents at Keller-Williams Realty Conroe, I have a team of REALTORS® and resources available to assist me at any time. We are constantly outshining our competitors in every area, especially in service and results. That is why we lead the pack in monthly sales! For my Buyer clients, I want to make you the most competitive Buyer out there. The CRD prepares you for your home purchase by pre-approving you for your home loan. You can be confident that you will be ready to purchase that home immediately.... no delays! For my Sellers, I want to present you strong and realistic offers! You can be sure that every Buyer that I bring you is ready, willing and able to buy your home! No wasted time. Third Party Support Team. Every transaction requires a number of third party services: home inspectors, title companies, appraisers, stagers, etc. You can be sure I am armed with a solid third party support team to ensure your experience is top notch. Coupled with confidence is my commitment to your success. My goal is to deliver positive results. The only way I can achieve that goal is by listening to you and your needs, and creating a customized plan to meet those needs and exceed your expectations. Put me to work for you! I am committed and confident that I can deliver SUCCESS!